Our bucket list is long - really long. It grows daily, actually. 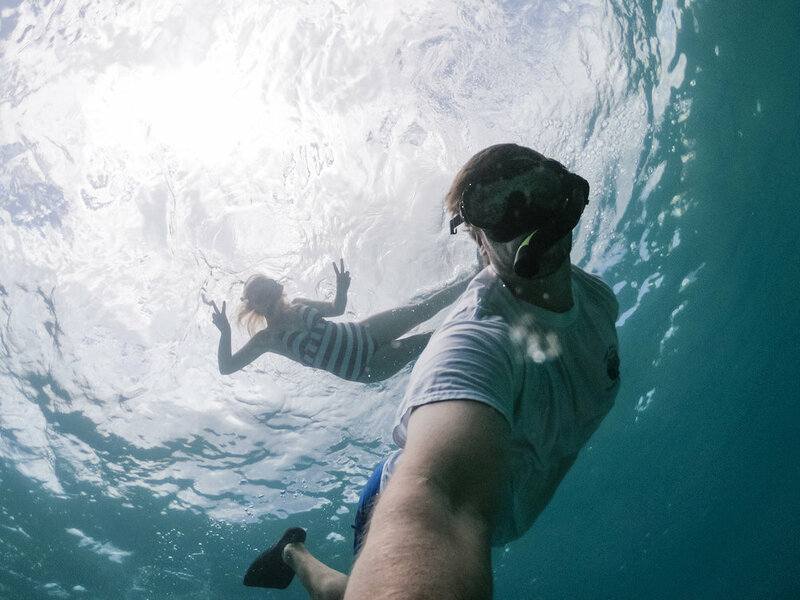 Our wanderlust spirits crave new experiences, new cultures, new adventures. We’re not the types to go to the same place over and over again, there’s just too much on this earth we’ve yet to explore! That being said, we have a small handful of spots that we would gladly return to. 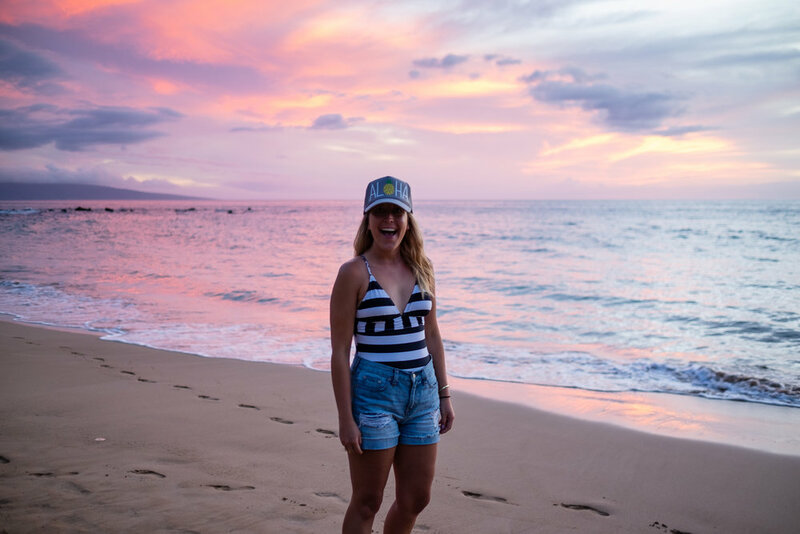 Places that we love, places that we crave, places that we start to miss the second that we leave… and Maui is one of them. There’s something about the people, the weather, the food, the wildlife. There’s just something so incredibly special about this little Hawaiian island. If you’ve been, you know. If you haven’t, keep reading. We hit a point every year where we begin to have Maui withdrawals. It doesn’t take long before we have our flights, room, and rental car booked (If our budget allows for it). 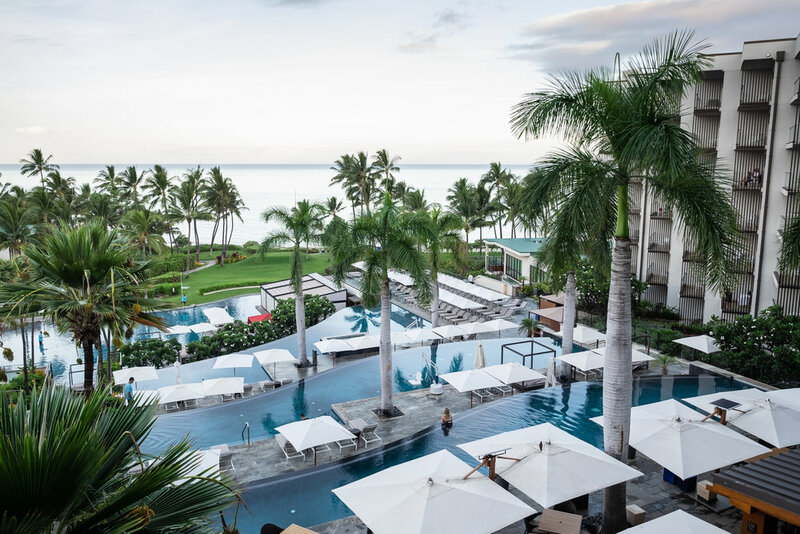 This year, we decided to head to a part of the island that we’d never been before : Wailea, and to a hotel that has been on our bucket list for years: the Andaz Maui. Ever since we stayed at the Andaz Papagayo in Costa Rica, we’ve been hooked on this brand. Their attention to detail, the cool, modern style of the properties, the friendly and attentive staff, the food, the drinks, even the rainfall showers in the room. It’s all done SO well. 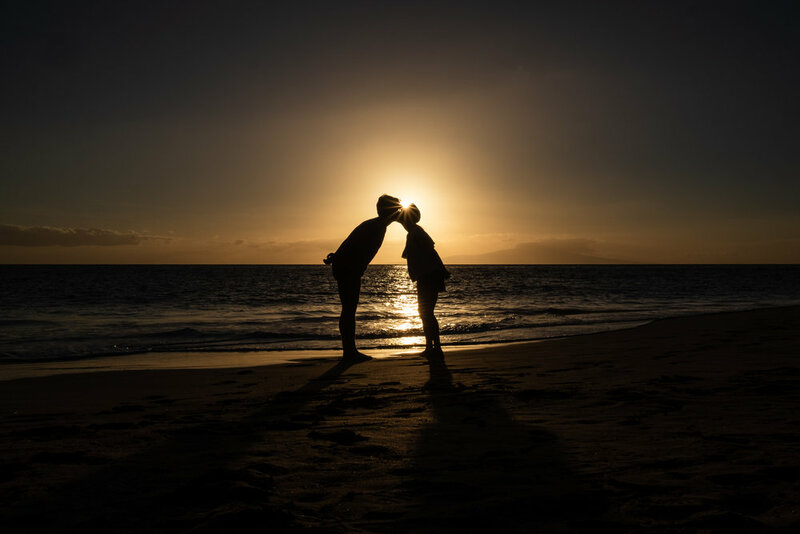 One look at the Maui property online and it was love at first sight. You simply can’t beat the location of the property. 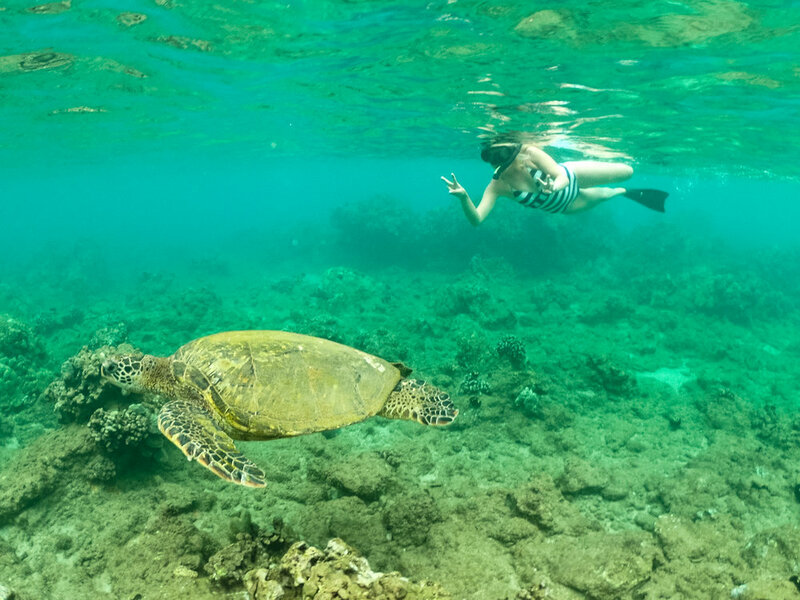 It’s right on what we consider not only the prettiest beach in Wailea, but the best one for snorkeling. Seriously, the coral reefs there made Alli cry. Highlight of the trip. The Andaz Maui is also walking distance to restaurants, hotels, Lapperts Ice Cream (very important), shops, and more. If you don't feel like walking, no problem! The Andaz has private cars that will take you wherever you want to go (within a two mile radius). Photos can't quite portray how breathtakingly beautiful their infinity pools are. At first glance it almost doesn’t look real! We spent the majority of our time pool-hopping around the different infinity pools, and it was glorious. There’s plenty of lounge chairs, complimentary Sun Bum sunscreen, books for guests to enjoy, cold water, Mai Tai’s, and ahi poke when you get hungry. One afternoon the Andaz staff handed out free mochi ice cream for guests to enjoy poolside. Heaven? Basically. We’re big on guest experience. Nothing makes us happier than good customer service. If you want our loyalty, treat us well! 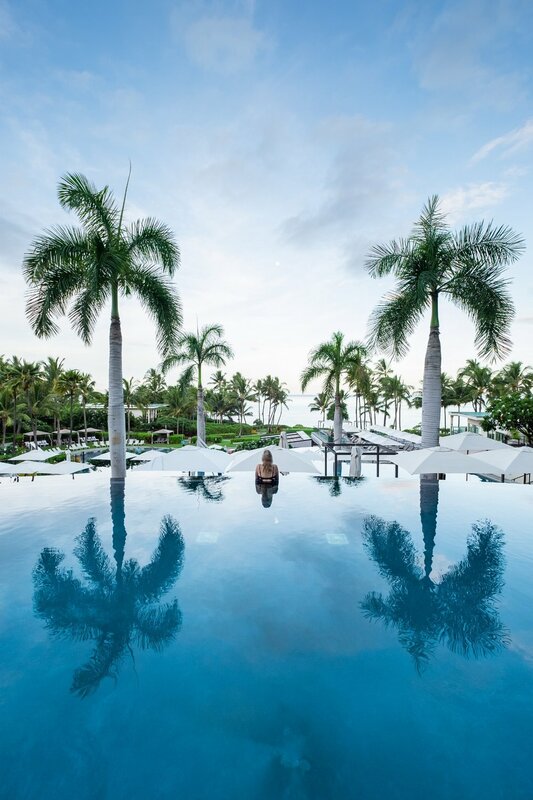 At the Andaz Maui, guests are treated like royalty. 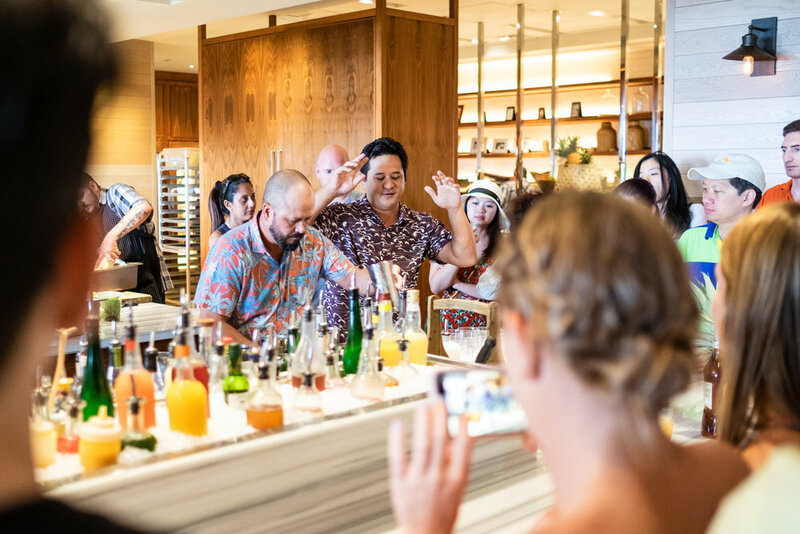 From the smiling faces of the bellmen to the pool attendants, to the talented mixologists, everyone is eager to serve. The second you arrive at the pool they’re making sure your chair is set with towels, your umbrella is where you want it, and your every need is met. It’s absolutely spoiling in every way. And so much more! There are SO many extra perks to staying at the Andaz. And if you’ve been following us for awhile, you know we LOVE good perks. 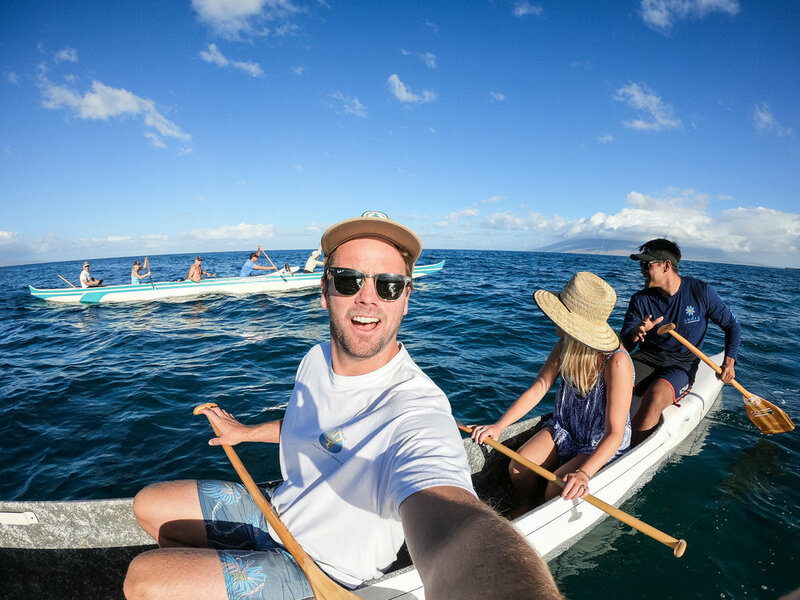 Like we said, you’re paying a premium to stay in the best location on Maui, have everything you need at your beck and call, and have unlimited activities to keep the whole family entertained. 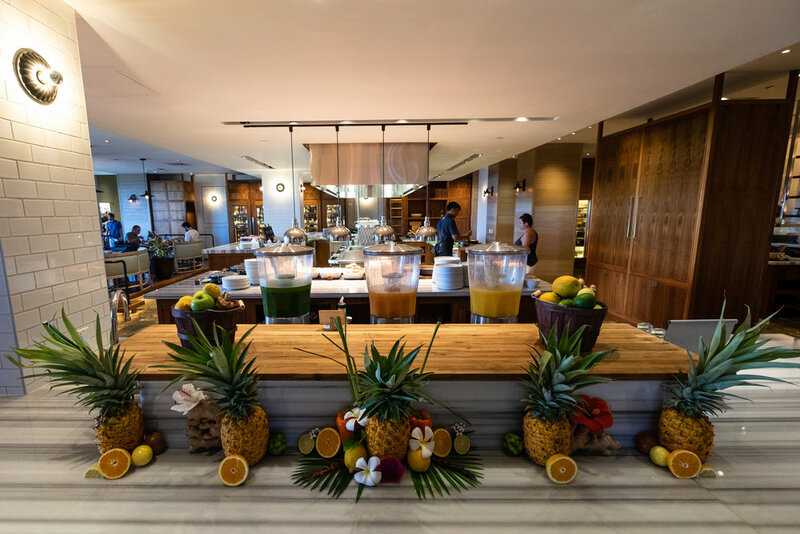 When you’re in the mood to relax, nothing is better than a one-stop shop, and the Andaz Maui is exactly that. Have we sold you yet? We could go on and on about how epic our room was, how insane their breakfast buffet is, how amazing the live nightly music was… But we’ll let the photos do the talking. Stay at the Andaz Maui. And take us with you. Please.